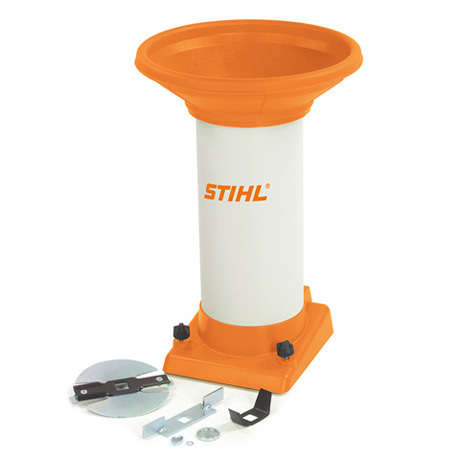 The STIHL feed chute set ATZ 300 is used to convert a STIHL garden shredder so it can shred harder and softer clippings efficiently. It consists of a short, soundproofed feed chute with large feed opening and the Multi Cut 350 cutting system. The set with the straight feed chute is compatible with STIHL petrol shredder GH 370.